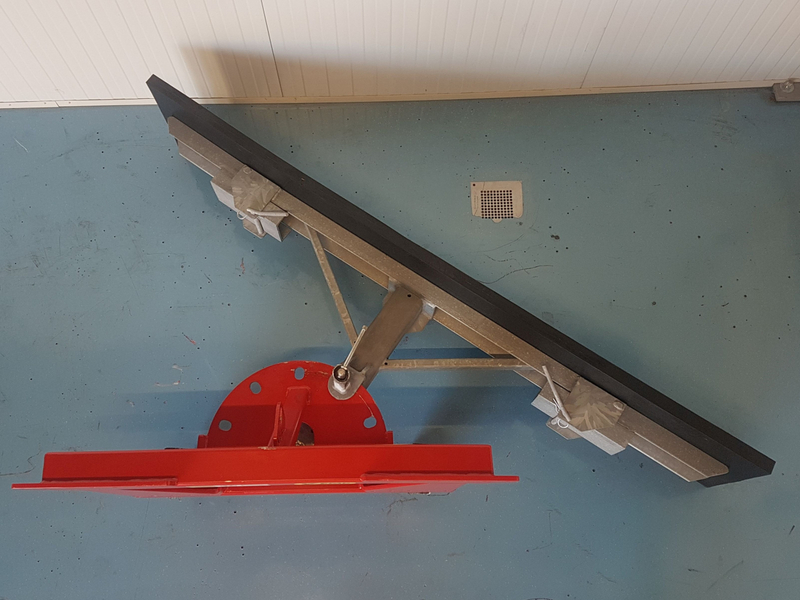 The mechanically adjustable feed alley scraper is, like the other Kemp feeders, capable of swivelling 70 degrees, left and right. Because the slide swings 70 degrees, the feed can be slide well towards the cows and it will not start to accumulate. In addition, it is important that the feed is placed next to the vehicle, so that the vehicle does not drive over the feed. Therefore, it is important that the scraper can pivot. Pivoting of 70 degrees in the mechanical variant is possible by manual adjustment. When the slide is swivelled 70 degrees, it comes against a stop so that it does not have to be locked (you can). The slider can be placed in 5 different positions, namely centre front and both 70 degrees and 35 degrees left and right. In every position the scraper can be blocked with a spring pin. Finally, the Kemp feed scrapers can oscillate. 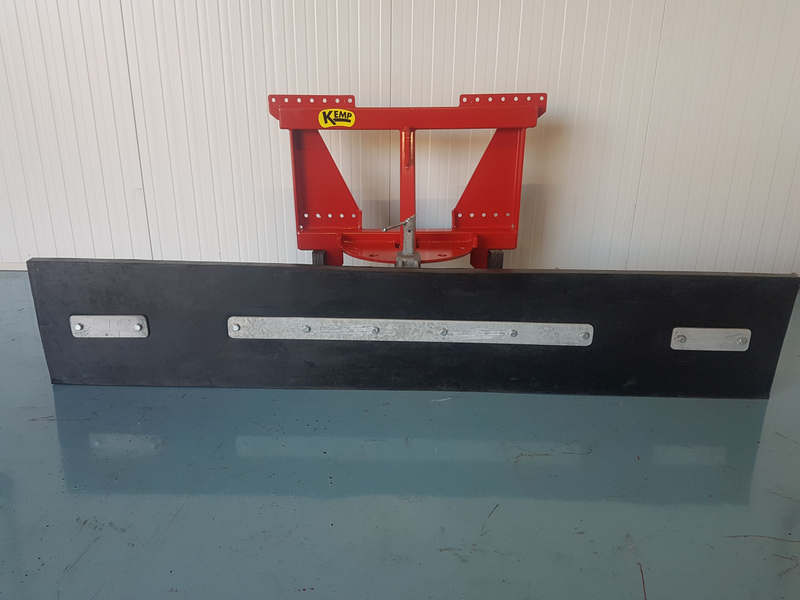 This means that the rubber strip can move with respect to the mounting frame. The advantage is a good ground adaptation and uniform wear of the rubber. 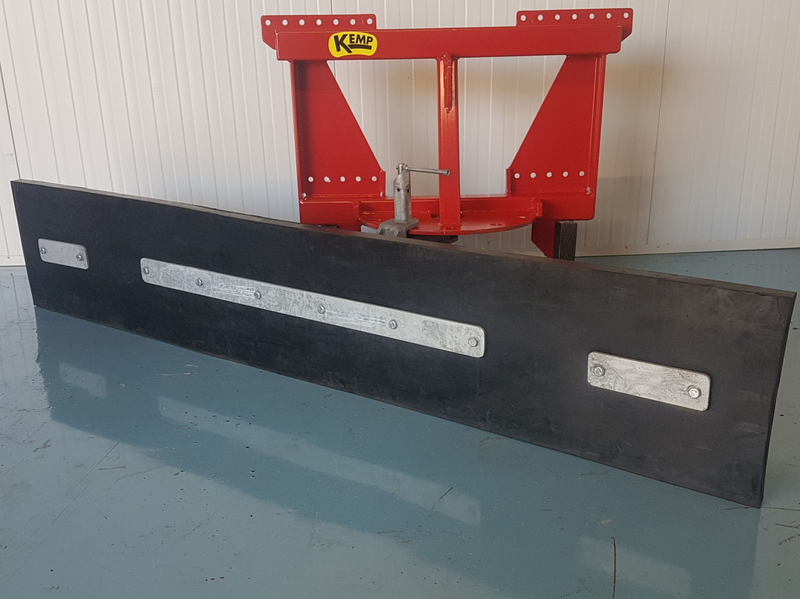 The core task of the mechanical feed alley scrapers is of course to slide feed towards the cows, but the slider can also be used as a mud slider, snow slider, to push away any residual feed or to push the sand away from the silage pit. 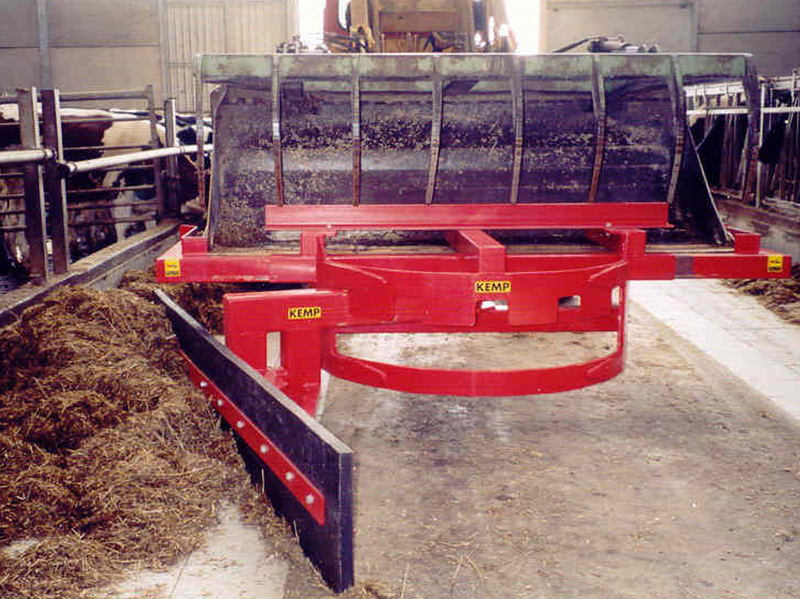 The mechanical adjustable feed scraper is available in two types and five different sizes. The two types are RVSMM and RVSM. The RVSMM is available in the sizes 1,800, 2,200 and 2,500 mm. The rubber of the RVSMM is 400 mm high and 40 mm thick. This smaller feed scraper is ideal for a mini loader, skid steer loader or forklift truck. The width of these vehicles may not exceed 1,600 mm, if it is wider, the slide can no longer place the feed next to the vehicle. 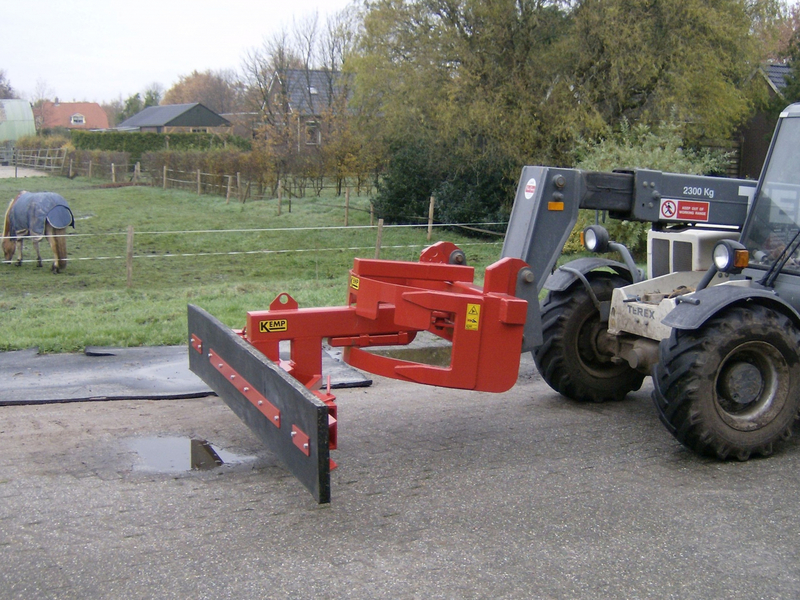 The RVSM is suitable for larger vehicles such as a wheel loader, telehandler or tractor. The RVSM is available in the sizes 2,800 and 3,200 mm. The rubber of the RVSM is 500 mm high and 50 mm thick. The frame of the RVSMM and the RVSM are different. The frame of the RVSM should be more robust than the RVSMM. Both types are available with attachments or with a bucket connection. With the RVSMM the bucket connection is not standard, but an option. 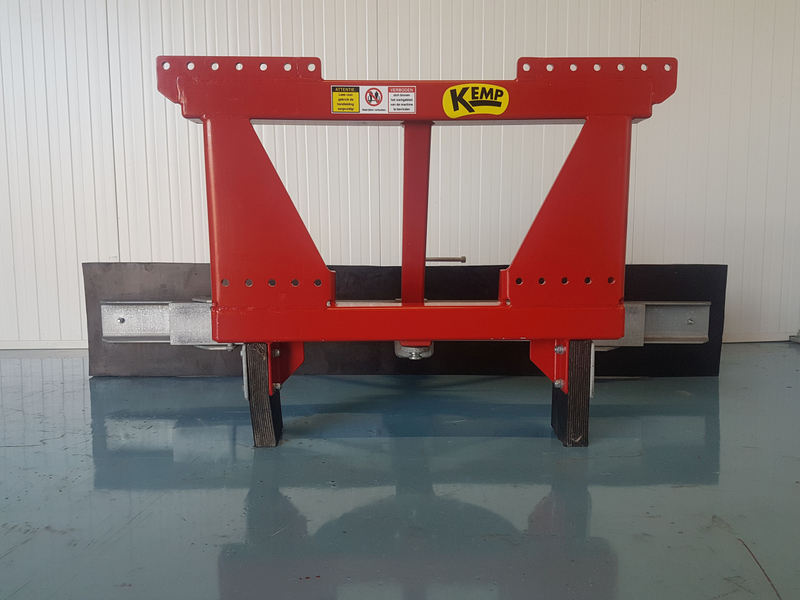 The mechanical feed alley scraper is available with the attachments that belong to your vehicle (for the attachment parts, see the document: Kemp attachment parts). For additional specifications, see the document: product specifications. 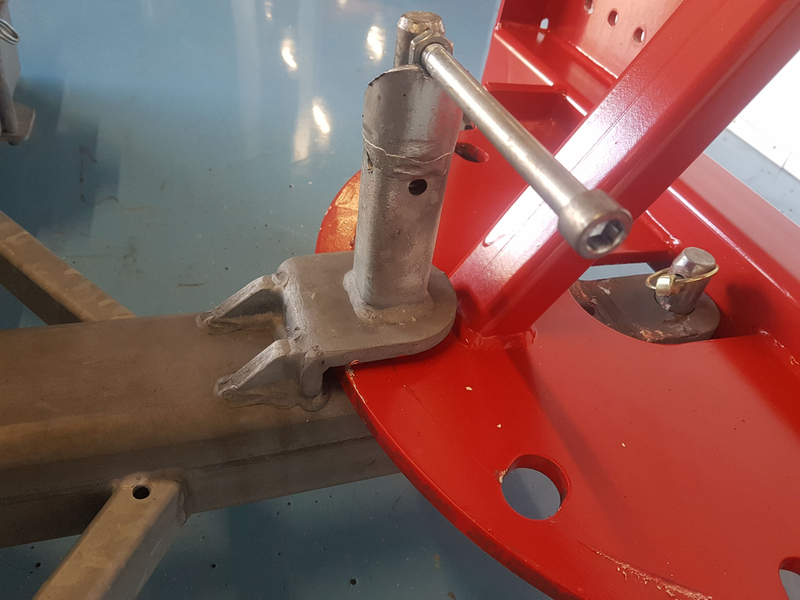 Adjustable angles (manually): The feed scraper are standard equipped with a straight beam, however it is also possible to choose for manually adjustable angles. These angles can be adjusted 35 degrees with respect to the beam. The adjustable angles give you more control to keep the feed near the rubber and thus slide away in the direction of travel. Both types are available with bucket connection and with attachment parts. 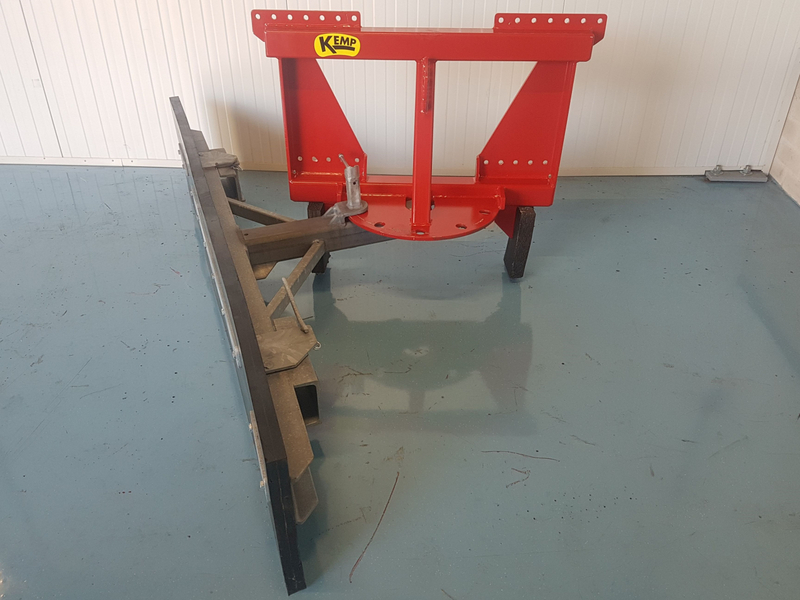 The bucket connection is supplied with a steel angle to clamp with top clamp of the bucket. By the RVSMM extra costs will be charged for the bucket connection option. With the RVSM, bucket connection is standard, so when it is not needed, costs just fall. Adjustable hollow sections for clamping the scraper to buckets with cutting knife, without damaging this knife.